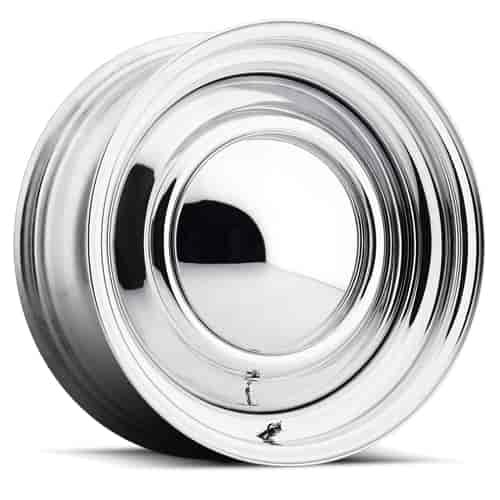 Cragar Chrome Smoothie Wheel Size: 15" x 7"
Wheel Vintiques 10-570504 - Chrome 10-Series Smoothie Wheel Size: 15" x 7"
American Racing VN315705 - VN31 Series Smoothie Steel Wheel Size: 15" x 7"
313-5753P is rated 4.7 out of 5 by 3. Rated 5 out of 5 by arturo from crager chrome smoothies Great look and decent plating . Fantastic customer service from jegs. Made the van ride smooth. Rated 4 out of 5 by oldskool from What I have been in search of. Helps give my car the look I was looking for. Oldskool. Will these accept 7-5/8&quot; center caps (Shannon cones)?